PLEASE NOTE: These are independent sites that have no connection with www.Bipolar-Lives.com. A Silver Lining is a bipolar only online chat room with good, clear guidelines and a solid track record of support for the bipolar community. A very cool feature is that they provide much needed resources for young people. This includes a message board that is open to all ages, and which also has a “Teen Talk” forum. There are also links to 3 chat rooms suitable for under 18s with no adult chat. The bphope forum provided by bp Magazine is a fabulous bipolar chat room with a fresh and creative feel. The bipolar chat room is just one feature of the site, and it is VERY easy to use. An added bonus is easy access to the bphome.com website and the bp Magazine – one of THE BEST bipolar disorder information resources available! This is another supportive and knowledgeable community where you can also enjoy some other cool site features along with online bipolar chat. Edwina’s Bipolar Depression Support is fresh and fun. Yes, it provides some great support, but it has many other features that make a appealing for a wide range of folks, especially young people. The combination of a light, personal touch with so much useful info is unique in bipolar chat room land. Harbor of Refuge is exactly that. It is truly “shelter from the storm”. The mix of chat and education and support resources makes this a great choice for the recently diagnosed. Note that there is an expectation that users are actively following a treatment plan and have a commitment to staying well. However, there are many reputable online services for genuine, sincere singles, and some of them have fantastic track records of success for online dating that leads to wonderful relationships, including marriage. This can be a great way to connect with people. My only warning is PLEASE USE A REPUTABLE, PROFESSIONAL SERVICE. For example eHarmony or Match.com have strict codes of conduct and aim to facilitate lasting relationships. Sites like Adult Friend Finder are more about “hooking up”. The attraction of a bipolar chat room is easy to understand! Remember – you never really know who you are connecting with in cyberspace. Be aware of how vulnerable we are to any activities that have a compulsive edge and PLEASE – while it is sensible to reach out through chat for connection and support – DO NOT do anything that is counter-productive or even self-destructive. Cybersex arising from adult chat may be a risk because of bipolar hypersexuality during manic phases. How serious or how harmful it is varies a lot according to a person’s individual circumstances. Please be warned that it can be a major catalyst for bipolar infidelity. 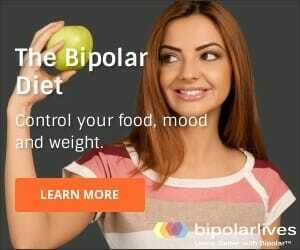 How do I know if my visits to the bipolar chat room are helpful or harmful? 1. Am I still maintaining a healthy sleep routine? 2. Am I honest with my spouse or significant other about the duration and nature of my bipolar chatting? 3. How much time does my online chatting take away from other activities? 4. What does my doctor or counselor say? amount of information and support. chat rooms I have listed are generally safe and worthwhile spaces. There is a huge difference between these respectable online chat rooms, and the adult chat, cybersex sites I was addicted to. Just be aware of the potential for bipolar manic abuse – DON’T MAKE MY MISTAKES!